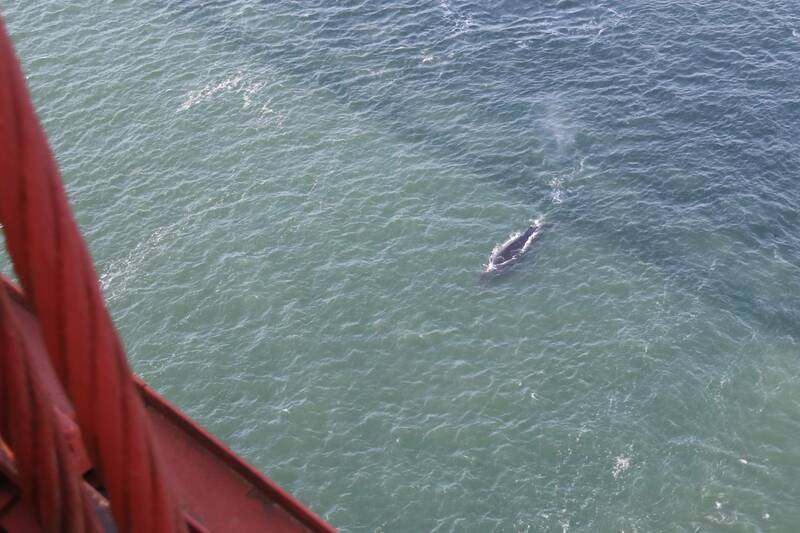 Multiple humpback whale sightings inside Golden Gate bridge have surprised and delighted researchers since late April. 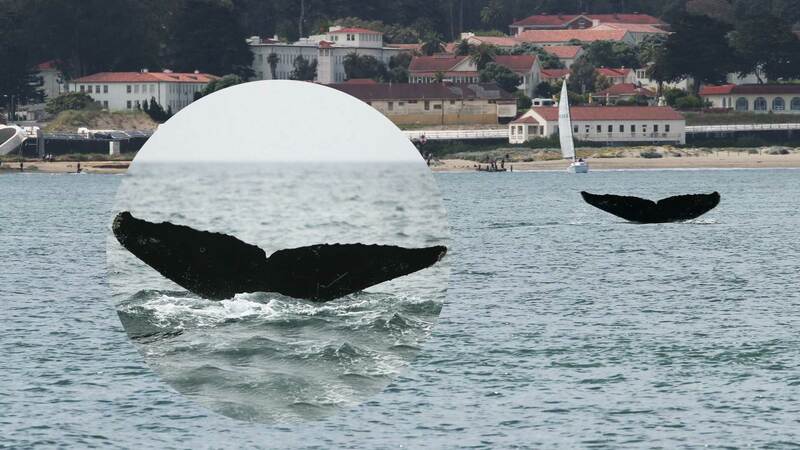 Though whales have entered the bay before, scientists interpreted most of those incursions as random wanderings. This time it appears that they've targeted the bay for foraging. "It’s pretty exciting," says Bill Keener of Golden Gate Cetacean Research. "We’ve never seen this before and we’ve been studying this since the 70s." Keener's research focuses on porpoises but he's been eagerly heading out to the bay to snap photos since his first encounter on April 28. 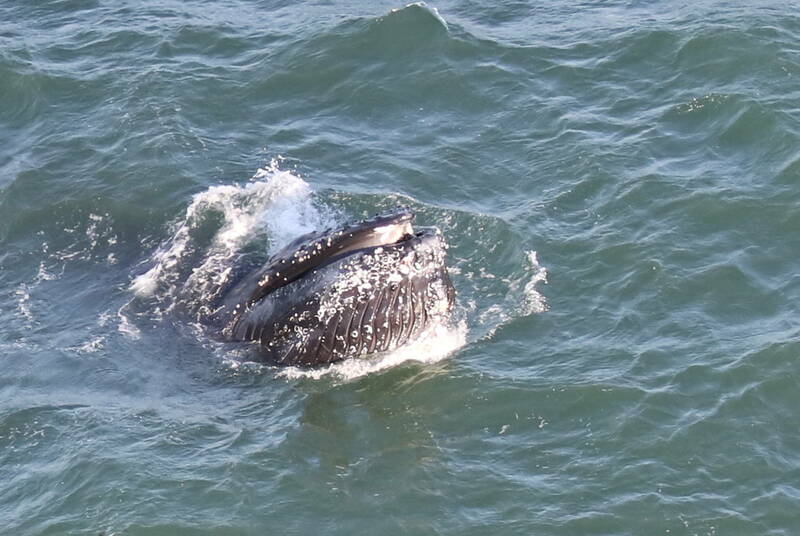 Over the weekend Keener watched a whale repeatedly dive and surface as water streamed through its baleen. Whales use the bristly material to trap food inside their mouths, then expel the water. Keener said the prolonged dives and other behavior he's observed are unmistakable signs of feeding. If the whales are coming in intentionally, Keener says it could presage regular annual visits, a sign of improving bay health. 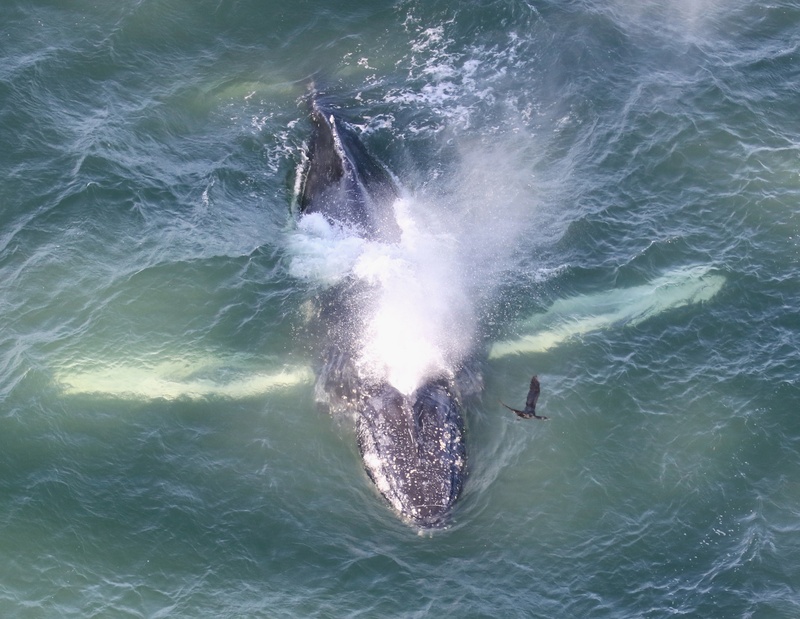 Humpback whales feed on anchovies and krill and Keener says the whales' presence suggests the bay has enough resources to support these large animals. These whales don't appear lost like "Delta and Dawn" — the mother and calf that wandered far up the Sacramento River in 2007, or "Humphrey" the whale, who detoured from his Mexico-to-Alaska migration and swam into the Bay twice — in 1985 and 1990 — becoming a media celebrity and the subject of a children's book. Those whales have "entered into pop culture," says research biologist John Calambokidis from the Cascadia Research Collective in Olympia, Washington. 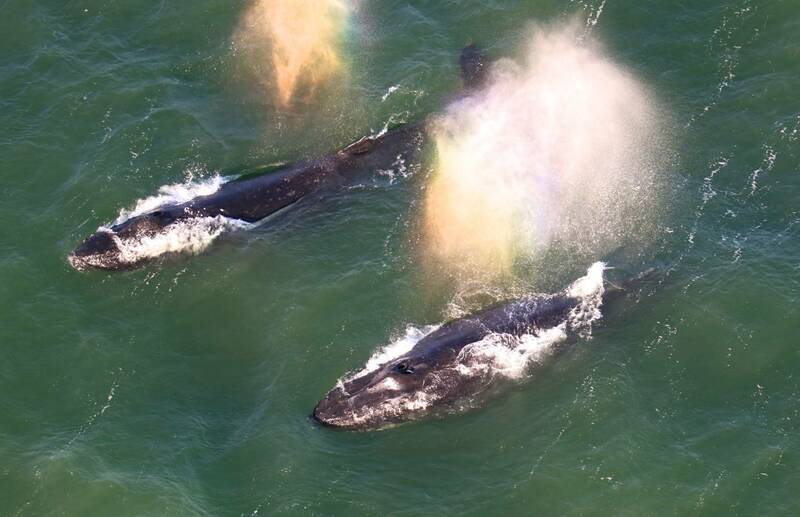 The collective studies marine mammals and has a catalog of 3,000 individual whales that have been spotted along the west coast since the 1980s. 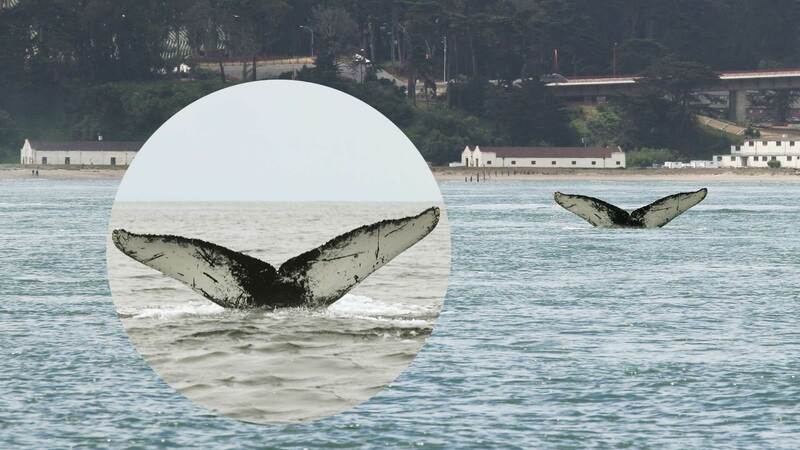 Calambokidis' team is analyzing Keener's photos and has matched at least four whales sighted in San Francisco to several in the catalog. 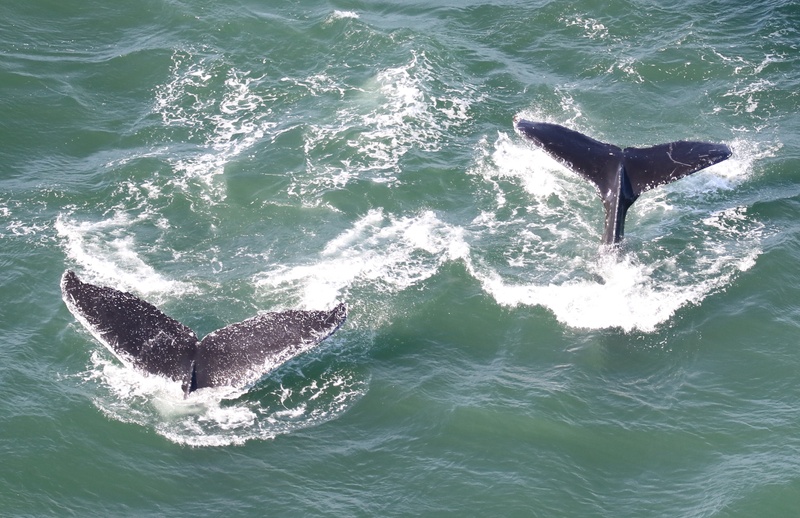 Each whale has distinct markings on the underside of its tail, which scientists use for identification. A combination of black, white or grey patterns and visible scars help researchers identify the marine mammals. "People joke that it’s like a fingerprint," says Calambokidis. "I look at these markings and you can tell a lot." Each animal is tracked with a unique identification number. 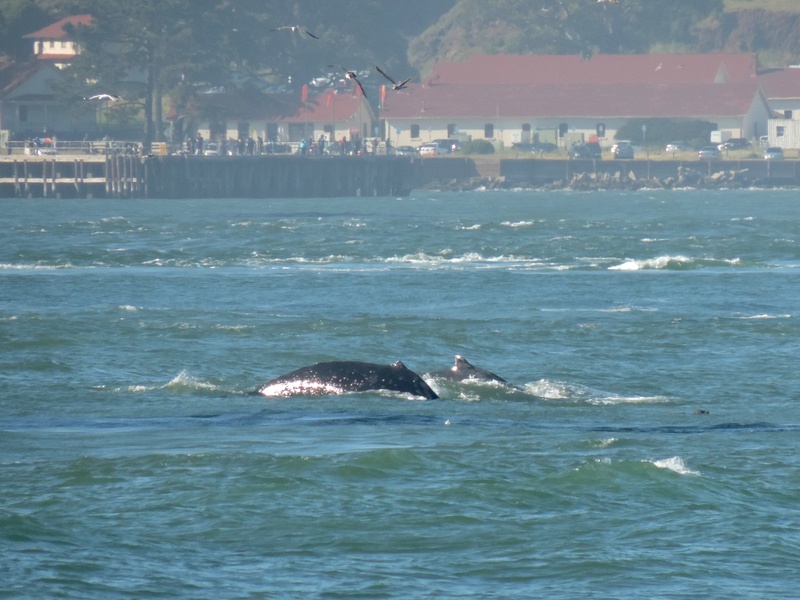 Whales 12297 and 12576 were both spotted inside the Golden Gate on May 21 and have hovered around Monterey Bay before. Whale 12576, which has large white patches on its fluke, was a calf when it was first observed in 2008. No one knows how long the animals will linger here but Calambokidis reminds onlookers to keep a safe distance and avoid approaching in boats or on paddle boards -- especially since the animals already face an increased risk from vessel strikes while they're in the bay.